If convenience and portability is a priority for you, then our 10 best cordless handheld vacuums for 2018 are the way to go. We’ve compiled 10 of what we consider the best, and drawn up a comparison chart. Please read the notes below the chart for more specific information on certain points. Our User Rating – This is our own opinion based on our research of the product through our own and/or other user’s testing and testimonials. 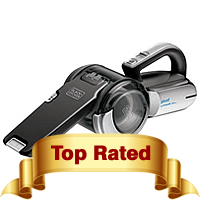 Clicking through to one of the featured products directs you to Amazon’s product page, where you’ll find reviews depicted by real customers. We highly recommend that you read what they say about the model you’re interested in. 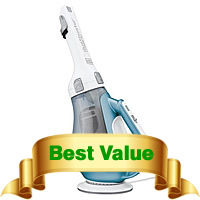 Best Value / Top Rated / Top Specs – Products that we consider to excel in a certain area such as value for money, reputation or technology have been given one of our aforementioned labels of recognition. Charge Time: This is based on how long it takes for a full charge according to the manufacturers. Run Time (minutes): This is an average based on both manufacturer specifications and users experiences. Accessories / Attachments: Standard accessories are included but are not mentioned e.g. manual. Price: This is based on Amazon’s marketplace. Please note that prices can change occasionally due to promotions and discounts. It feels good being able to clean any spot in your home with a portable cordless handheld vacuum without having restrictions such as having a cord attached at all times. This kind of convenience is the sole reason why most people would rather purchase a cordless model rather than a corded one. However, with the added convenience comes with greater risk of failure in the long term if you end up buying an inadequate model. 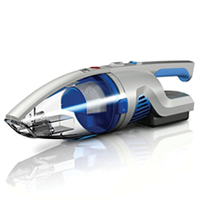 So how do you know which cordless hand vac is best when it comes to effective vacuuming and a long lifespan? This is the number one component you need to consider because whenever something goes wrong with any cordless handheld vac, most of the time it’s usually the a battery issue. Either it won’t hold a charge properly or just completely dies. Fortunately, battery quality has improved drastically over the years and that’s due to the advancement in lithium ion batteries, which are now integrated in the majority of mid end cordless hand vacs. 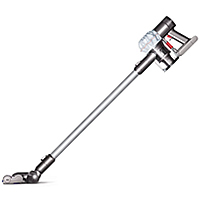 Cordless vacuums that uses a Nickel–cadmium battery (NiCad) are less common now but are still around. They’re usually cheaper and generally do not hold a charge as well as a lithium battery, nor do they last as long. Quick Recharge Time – You don’t want to have to wait ages to completely recharge the unit after the battery has been depleted. A battery that’s able to recharge quickly is usually a sign of quality. However, certain batteries will take around 24 hours to completely charge the first time you ever use it. Long Run Time – Just because a battery has a long run time doesn’t always mean that it’s fantastic. 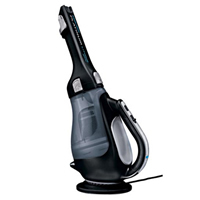 What you have to consider is how powerful the vacuum is relative to the time you’re getting out of a full charge. 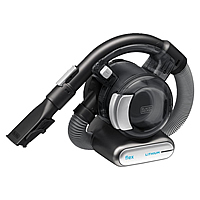 If your hand vac has good suction power and you’re getting at least 15 minutes or more of constant and consistent run times, then you’ve got yourself a good unit. 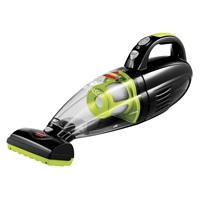 Doesn’t Fade Late – Certain batteries, most notably NiCads will diminish in suction power towards the end of its charge, which means that your last few minutes of vacuuming will not be as effective. This can occur in lithium ion batteries too, but often near the end of the battery’s life cycle. Is It Removable? – Though this shouldn’t be the deciding factor, it’s sometimes useful to have a removable battery since it’ll be a lot easier to replace should the existing battery come to the end of its lifespan. 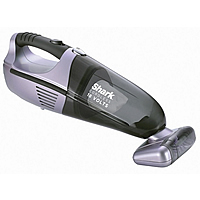 However, some replacement batteries are quite costly so it may be better just to buy a new hand vac. 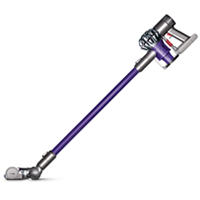 It’s not always the case that a cordless vacuum will have less suction power than a corded model. However, the power consistency among all corded vacs are generally better. 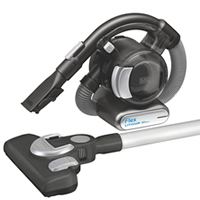 There are a few select cordless hand vacs that are powerful and perform its cleaning tasks very efficiently. The type of battery that’s used doesn’t affect how powerful a vacuum is, but how consistent the power is. A general rule of thumb is to aim for ones that have a higher voltage which supplies more power to the unit, and also one with a high figure or air watts.